Permitting in Nevada is multijurisdictional across city and county lines. Each jurisdiction must be contacted to determine specific permit requirements. The NFO can help you determine the jurisdiction of your filming locations. Turn-around times for the approval of a permit vary, and depend on the specifics of the production’s requirements. In Nevada, as in most places throughout the United States, proof of liability insurance by a company licensed to provide insurance in the State of Nevada is required for obtaining a film permit. There are separate permitting requirements for locations outside of city and county limits such as: The Fremont Street Experience in Downtown Las Vegas, Bureau of Land Management (BLM) areas, National parks and State roads and highways. We have included a complete list of Permitting Contacts here. Many Nevada county and city permits are free. Fees for wilderness and recreation areas, state parks and similar locations are based on the size of the crew, number of vehicles, type of use intended, expected impact and other variables. For additional details on fee requirements, please contact the counties and/or cities directly. In Clark County, to determine whether the location is governed by the City of Las Vegas or Clark County, please check the Jurisdiction Locator. Many sidewalks on Las Vegas Boulevard or “The Strip” are the private property of the hotels they border. In most cases, you may have to contact the hotels directly to obtain permission to film on the sidewalks in front of their properties. 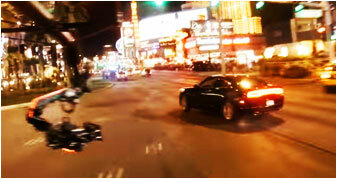 Las Vegas Boulevard falls within the jurisdiction of Clark County and the City of Las Vegas. The dividing line is Sahara Avenue. Las Vegas Boulevard North of Sahara is the City of Las Vegas and South of Sahara is Clark County. For your convenience, we have a map of the Las Vegas Strip showing various hotels/casinos and landmarks as well as maps of the sidewalks. Please note that these maps are provided by Clark County and Nevada Film Office makes no guarantee or warranty to their accuracy. Click here to download Las Vegas Strip Sidewalks Map. 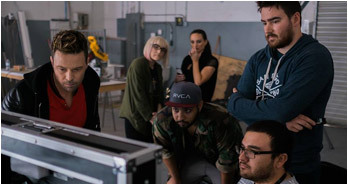 For more information on film permits, call the Nevada Film Office toll free at 877-NEV-FILM (877-638-3456) or at 702-486-2711 or send us a message. 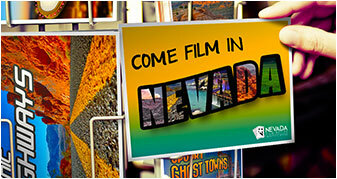 Don’t Forget ~ Nevada law says you must register your production with the Nevada Film Office (NFO). It’s free and saves you guesswork, time and effort. You should do this prior to obtaining any film permits. To get started, fill out our Production Registration Application form online by clicking on the button below.